Kabbalistic teaching informs us that there are angels who are inhabitants of ten Sephiroth, with twenty-two paths interconnecting them; this is "The Tree of Life". These angels are what is often refer to as the Zodiac Angels, who we may invoke, or appeal to, and who will carry our messages and pleas to God. Once you have contacted these angels they will awaken your consciousness to the presence of the divine that already exists in each of us. 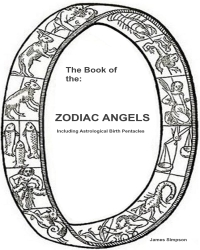 These zodiac angels fall under the domain of a specific planetary archangel, and it is these planetary angels that form a link between the Divine and us, these archangels are the Master angels that rule and reside over all the‘Lesser angels of the zodiac. So we have Planetary Archangels, Zodiac Constalation Angels and Zodiac Degree Angels. You will be introduced to all these angels and their powers. I have compiled correspondence tables which give the necessary correspondences for creating your birth pentacle or invoking the angel that you wish to work with. You may use these in 1. The preparation of the birth pentacle of the angel used for protection and absorbing the angels influence, and 2. To invoke the angel to request specific assistance. Both rituals are used to achieve different aims so you are guided to wich is the correct ritual to apply for the purpose in hand. Create your Birth Pentacle and move closer to your Zodiac Angel. Gain his protections and teachings. You will also learn how to undertake the ritual for a specific requests, and how to write this request in the angels sacred script.